In the 2016 presidential elections, Hillary Clinton appears to be looking back at 2008. Clinton is ramping up for her second go-around for the White House, and she's carefully examining what President Obama did that made him so successful in his first win in the hopes she can follow in his footsteps right up to the Oval Office. 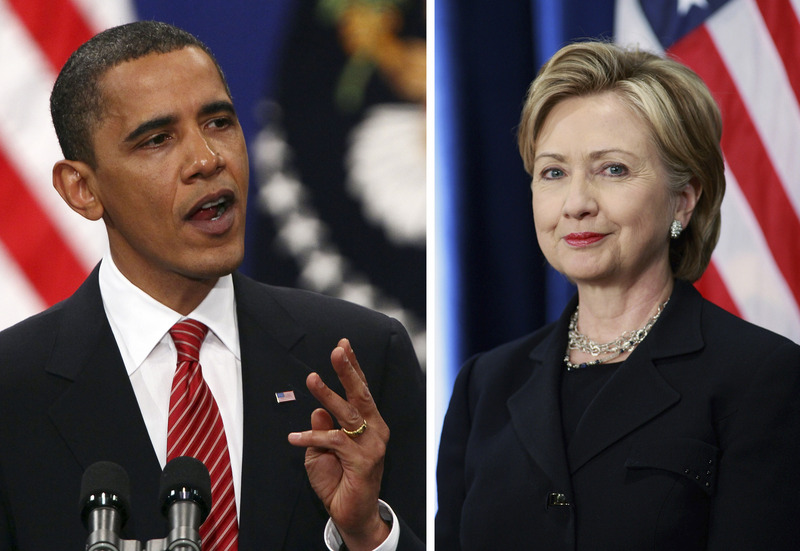 The lessons Hillary Clinton can learn from Obama's 2008 campaign are actually pretty easy, but if she wants to win, she's going to have to figure out what strategies worked for him and then make them her own. At this point, she’s courting the same voter base of young people and minorities, assembling a campaign team stacked with Obama alumni, and starting to tip further and further to the left. While Clinton’s instincts about securing the same bases as Obama did in 2008 might be on point, many believe Clinton might not have such an easy time repeating his performance next year. Obama’s tactics may have worked then, but the times have changed and so has the public’s opinion of him. What was fresh and innovative eight years ago, no longer is. While America has had a good run with Obama, most Americans want a new president and Clinton needs to show she is able to step up to that challenge. However, although Clinton shouldn’t copy Obama, she can still learn from his successes because, after all, Obama’s 2008 win is definitely worth emulating. Obama’s wild popularity in 2008 was largely boosted by the fact he was the new kid on the block, an underdog who had to innovate in his campaign to turn national attention into a presidential win. Clinton, after decades in the public eye as a politician, certainly can’t assume that persona. Rather than staffing her team with Obama alumni and creating a campaign video featuring the base he chased, Hillary needs to be thinking more about who she is and what she’s about. After all, she's definitely not the fresh face Obama was, and, moreover, America has already seen that act. As The National Journal points out, Obama has not necessarily been a natural in the public eye. He’s steered clear of the mainstream media, and his appearances and statements have been largely stage-managed. While this might have worked for him, it certainly won't work for Hillary. She already appears to be micromanaging media appearances and has limited her time with news outlets. Clinton shouldn’t close herself off — she needs to open herself up. After all, Obama didn’t have to fight against the facade of entitlement and life in a bubble like Clinton does. Right now, the key points on which Republicans are attacking Clinton is her trustworthiness and her sincerity. In order to win, Clinton needs to take clear stances and assume an unwavering persona. According to The New Yorker, Obama's clear opinions and consistency in character were one of his big strengths against McCain. In 2008, Obama made his platform pretty clear: What America needed was change, namely, from the Bush presidency. The simplicity of Obama’s message, that America needed something other than the status quo in its next leader, was a message that translated well from the primaries to the general election, allowing him to stick with his platform whether he talked to his party base or those outside.